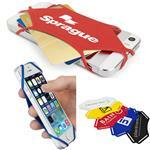 A great custom phone wallet with your logo in bulk fun for tradeshow giveaway! 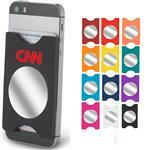 This plastic phone accessory holds credit card, drivers license or several business cards. 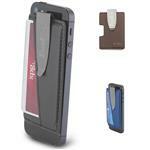 This mobile wallet easily attaches to the back of your phone with adhesive strips provided on back. 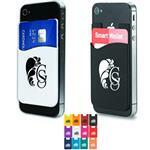 So many colors and something that will show your logo to your potential client all day, everyday. 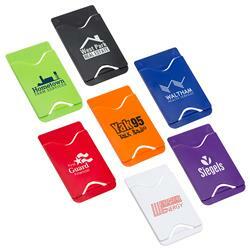 Dimensions: 3-5/8" x 2-1/4" x 3/16"
Typical Imprint Area(s): 1.625" x 1"
Box Size: 14" x 14" x 9"